The Opelika Lady Bulldogs (21-5) thumped Russell County 81-27 and Benjamin Russell 64-43 to win their 7th consecutive area championship and finish with a perfect 4-0 record. Opelika started the week with an 81-27 victory over Russell County in Seale. Coach Devin Booth has been thrilled with multiple players scoring double digits. Four players scored more than 10 points each. Haley Sanders scored a game-high 21 points, Kaitlyn Bryant 16 points, Caire Worth 14 points and Quala Walton added 11 points. The girls finished last week with a 64-43 win over Benjamin Russell in Alexander City. Booth has been thrilled with having multiple players score in double figures each game. Four players scored 10 or more: Bryant scored 13, Sanders scored 11 and Ananda Huguley and Claire Worth scored 10 points each. The Opelika boys basketball team (13-9) earned its second-straight area championship after road wins over Benjamin Russell 60-48 and Russell County 45-41. Taye Fields scored 22 points to lead Opelika over Benjamin Russell last week. Trey Boone scored 11 points while Jared Willis and Brandon Howard added eight points each. The Dawgs travelled to Seale for the second game of the week. Fields scored a game-high 15 points to finish with 37 points in two games. Against the Wildcats, Brandon Howard scored 12 points and Willis scored 10 points. The Bulldogs finished 4-0 in the area, capturing their second-consecutive area championship under Coach John Wadsworth. The two Opelika basketball teams finish the regular season Thursday night against Auburn in the Sports Arena on the OHS campus. The junior varsity game begins at 4:30 p.m. followed by the varsity girls at 6 p.m. and the boys at 7:30 p.m.
Opelika will host the girls and boys area tournament Feb. 4 and 6. The opening night will feature Russell County v. Benjamin Russell in girls and boys. The girls start at 6 p.m. followed by the boys at 7:30 p.m. The two winners will return Feb. 6 to play Opelika for the area tournament title. The Opelika girls will start at 6 p.m., followed by the Opelika boys at 7:30 p.m. The winner of the tournament will host a sub-regional game, with the loser traveling in the sub-regional round. The Opelika junior varsity wrestling team recently participated in the “Cat’s Classic” in Prattville. Twenty Bulldog grapplers took part in the event, earning six medals. The following wrestlers earned medals: Trace Gaither – 103 pounds (fourth place); Nijah Durham – 112 pounds (champion); T’harra Brunson – 125 pounds (3rd place); Logan Sheridan – 130 pounds (third place); Tre’mir Rodgers – 130 pounds (fourth place) and Ari Brogdon – 145 pounds (fourth place).. The Mike Spain Character Award went to Londarious Baldwin, Top GPA on the team-Hunter Ryder, Patrick Royal, Cade Blackmon and Jaylen Holloway. Team Captians; Cade Blackmon, Brantan Barnett, Cam Tolbert and Tyrell Davis. The Opelika Dixie Youth Baseball organization has started taking registrations for the upcoming season. Anyone interested in playing baseball between the ages of 7-12 years old, can go online to www.opelikadixieyouth.com to register. The deadline to register is March 1. The group will hold a 1-day of in-person registration, Feb. 16 from 9-11 a.m. at the Opelika Sportsplex. 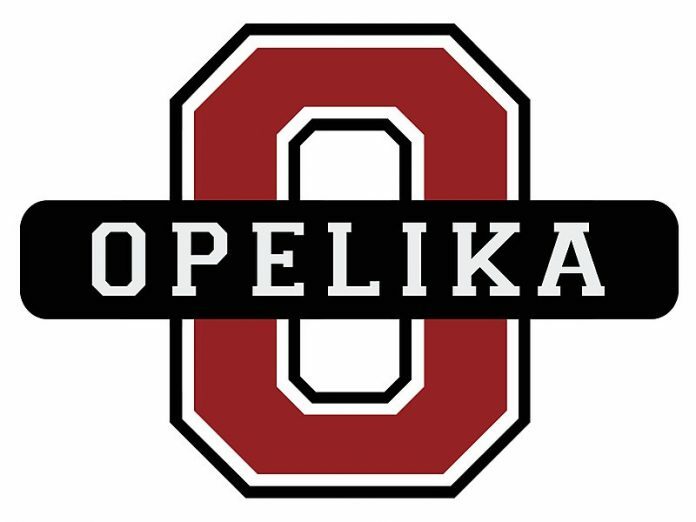 The Opelika baseball team will hold a free camp for registered first time players ages 9 and under on Feb. 16 from 10 a.m. – noon at the Bulldog Park on the Opelika Campus. Evaluations will be held March 4. D. Mark Mitchell is the sports director for iHeart Media, Alabama Dixie Boys State Director and vice president of the A-O Sports Council.